Motivation is at the heart of real-world achievement settings, from learning and acquiring knowledge to quitting bad habits. Achievement motivation literature encompasses empirical investigations, theoretical frameworks and models, and a variety of constructs (such as motive dispositions, attributions, goals, competence perceptions, etc.) that have been applied to a variety of fields, ranging from classroom to workplace settings. It has direct applications for a plethora of application domains dealing with flow, creativity, cognitive strategies, self-regulated learning, coping and disengagement, social comparison, and so on. Sustaining motivation over long periods of time is thus of paramount importance in a number of various contexts and tasks faced by people on a daily basis. My work aims to develop an automatic method of estimating a person’s motivational state during a task and use this estimation to adapt to the user in order to keep him or her engaged in the task. The approach I am proposing is a Socially Assistive Robotics (SAR) one, which consists of developing a robot companion to be placed in homes with users and interact with them long-term in order to achieve the aforementioned goals. The particular application domain my work focuses on is physical activity. The benefits of physical activity are well known, as research shows that daily physical activity has wide-ranging benefits, from improving cognitive and academic performance to helping with bone development and health. My work seeks to sustain these benefits with robot home companions through personalized, data-driven coaching. Current evidence shows that levels of physical activity among youth remain low, and that levels of physical activity decline dramatically during adolescence. These data show the importance of developing methods to keep adolescents on track to achieving daily recommended levels of physical activity. With this in mind, I seek to develop a human-robot interaction system that motivates adolescents to engage in physical activity on a daily basis. 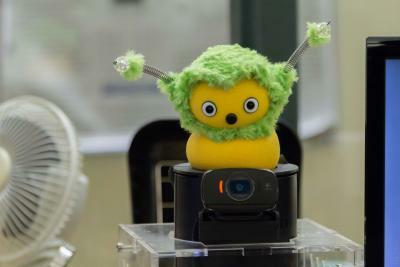 The robot would thus live in the user’s home for extended periods of time and would interact with him or her in order to maintain physical activity motivation. It would acquire data from a physical activity tracking device the adolescent wears on his or her wrist and would employ different motivational strategies best suited for each user. Creating a long-term, in-home robot companion that keeps users motivated and engaged in daily physical activity goals would represent a huge contribution to various fields. Such a system would lie at the intersection of HRI, HCI, user modeling, and applied machine learning. Although there are a multitude of applications related to well-being and physical activity, there is no system to date that ties together continuous remote monitoring of user physical activity obtained from wearable sensors with an assistive robot for daily, long-term interactions. This link consists of the creation of a user model that interprets the motivational state of the robot’s interaction partner in order to keep him or her on track to achieving physical activity goals. The interpretation obtained from the user model then stands as a basis for an adaptive system that learns what motivational strategies work best to keep each user on track for engaging in high levels of physical activity. Developing an in-home robot companion represents a challenge from both the algorithmic and systems standpoints. First, existing machine learningtechniques need to be adapted in order for the system to be able to use data obtained from the human-robot interaction over time. Second, building a robust human-robot interaction system that is capable of interacting with its users autonomously and without supervision represents a huge challenge. To create such a system, I have started to conduct smaller experiments with the target age group (13 to 15 years of age). These initial experiments are meant to test how adolescents respond to the interaction and how they perceive the robot. The next phase of the project involves a month-long in-home study during which adolescents will be able to interact with an autonomous robot and will be wearing a physical activity tracking wristband. The system will keep track of how much physical activity users engage in throughout the day and will interact with them daily in order to keep them motivated. This study will form the basis of collecting all the necessary data to improve the autonomous system and create an adaptive algorithm such that the robot chooses the most appropriate motivational strategies for a particular user.